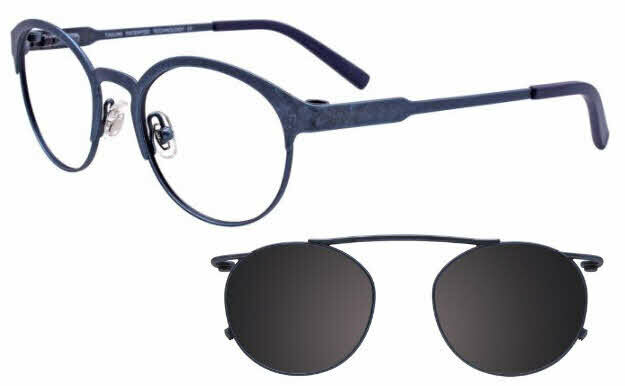 Takumi TK1057 is a Full Rim frame for Men and Women, which is made of Metal. Takumi TK1057 Eyeglasses come with a cleaning cloth and protective carrying case. This frame is meant for a small face. I love it! It has a unique finish, sort of a bluish , matte, organic look. I like to follow fashion, and I feel that they are very contemporary. The clip on for sun is a real bonus. It seems to go on the lense easily, and has good protection. The price was about half what my regular eyewear place charged for the same lense! I am pleased. Thank you!